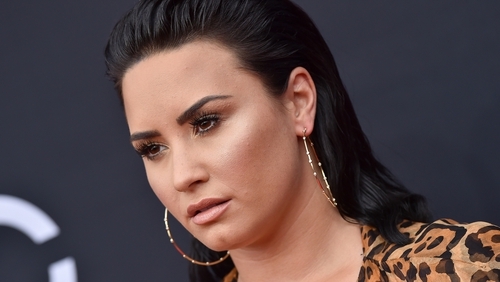 Demi Lovato wants to focus on "road to recovery"
Demi Lovato has issued her first statement after she was taken to hospital for a suspected drug overdose last month. The 25-year-old singer took to Instagram to thank her fans and revealed that addiction is "not something that disappears or fades with time" and "it is something I must continue to overcome and have not done yet". "I now need time to heal and focus on my sobriety and road to recovery. The love you have all shown me will never be forgotten and I look forward to the day where I can say I came out on the other side. I will keep fighting," Lovato poster to her 70m followers. The New Mexico-born entertainer became a household name on the TV series Barney & Friends before starring in the Disney Channel film Camp Rock. She gained fame as a pop icon with the hits Sorry Not Sorry, Skyscraper and Heart Attack. Lovato has spoken freely about her battles with alcohol and substance abuse. In June she released the song, Sober, in which she admitted that she had relapsed after six years of being sober. As reported in these pages a week ago, Lovato's friends have urged `an end to negativity' in the response to the singer's condition. Concerts have been cancelled in the wake of the singer's illness.